A great way to ease yourself into researching a place you're travelling to is to pick up a novel about it. Read some history, delve into a memoir or biography, or skim over some potted politics. Can't afford that trip this year? Reading will take you there anyway. Here's what we recommend. As with everything else at Travelfish.org, we buy the books we review. 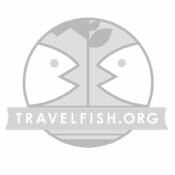 If you purchase a book through one of the links here, a small commission may be payable to Travelfish. Thanks!